Roger Federer’s shot-making abilities and effortless playing style cause minimal strain and damage to his body. His movement is graceful and, therefore, balanced; and balance, many believe, is the reason for his on-court elegance and grace. Roger’s uniquely smooth style is not just the envy but also swoon-worthy of even his contemporaries and opponents. At times, even Novak wonders if Roger is from the same planet! Djokovic is probably right because if Novak – the tennis player – is of the planet earth then Roger Federer is, probably, not from the same planet. Unlike Djokovic, Federer is rarely bent out of shape or stretched to the limits on the court. Novak Djokovic, the body-contortionist, relies on his super-elasticity to recover after his gymnast-like stretches, and Roger on his balance and grace to avoid resorting to gymnastics on the court. 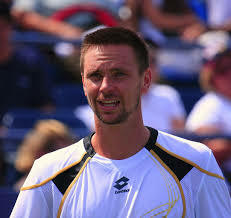 Robin Soderling gushed like a fan after his loss to Roger. “I never played anyone playing that fast. He doesn’t have any weaknesses at all. He really deserves to be called the best player of all time,” said Robin Soderling, after losing the 2009 French Open Final to Federer. There you have it, Roger Federer may be from another planet, but few mind him hanging around the tennis circuit for another three or four years. Roger Federer’s tennis is a thing of beauty and, therefore, a joy forever. ← Rafael Nadal, and John Isner caught drunk on the Roger Federer kool-aid!